The Strauch family is changing the way you look at funerals, creating an end-of-life celebration that focuses on real people and a real life. Your ideas come first in designing a memorable and affordable event that meets the needs of your family. We help you create a wonderfully unique service that tells the world how special and loved this person truly has been, in life and forever after. Elegant and sophisticated, simple and fresh, or filled with laughter and gratitude for a life well livedâ€”any of these descriptions may fit your wishes for a final tribute, or perhaps you have other ideas. How will you know what to do when the time comes?. Sit down with us . . . your cherished memories of a very special life are safe here. Your vision will take form as our planner guides you through the available options and service choices. Then, with our guidance, you will create the celebration your loved one deserves: exceptional, personal, and designed with respect for a life well lived. 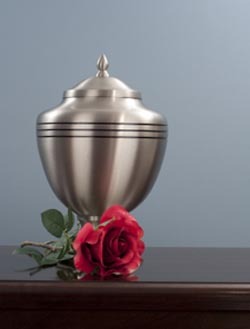 Review our popular FUNERAL SERVICE PACKAGES and the many options for personalizing your event choice. In addition, our expert staff will assist in the application for any available benefits that you may be entitled to receive, as well as notifying organizations and government entities such as Social Security, Veterans Administration, Veterans Affairs, personnel departments, and fraternal organizations. At your request, we will even handle all life insurance claims. We have provided a PRE-NEED FORM for your convenience. Please fill out the form, and submit your information to us. One of our staff will contact you after reviewing your requests. At the Strauch family of funeral homes, we commit to supporting you through every step of the processes, from finding your vision of a perfect tribute to our aftercare and grief support services.